I was experimenting with different nail products and came up with a really fun look. This is great for a special occasion where you don't mind going all out. I like to think it's a combination of crazy and chic! I always use the Seche Nail Base and Fast Dry Top Coat. I used these Nail Bling Stickers that I purchased from Claires. 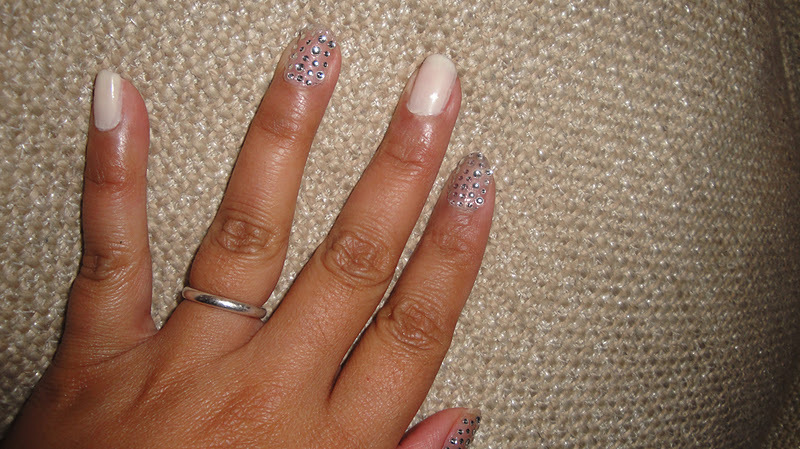 They're supposed to just stick on, you trim the excess, pop on a top coat and you're good to go. 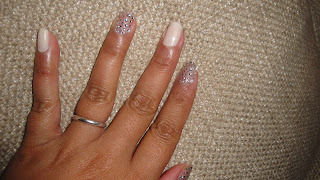 I find that after a few hours the stickers already start to peel - this is with me using both top coat AND nail glue. This is my second pack of the stickers where it's been a product fail so it's safe to say that this would go on my "Products I regret Buying List". I will say that they do look fabulous for about a day or so. For my middle and pinky fingers I painted a few coats of OCC Bone Nail Polish. I like how it's off-white and creamy. It goes better with my skin tone than stark white polish. 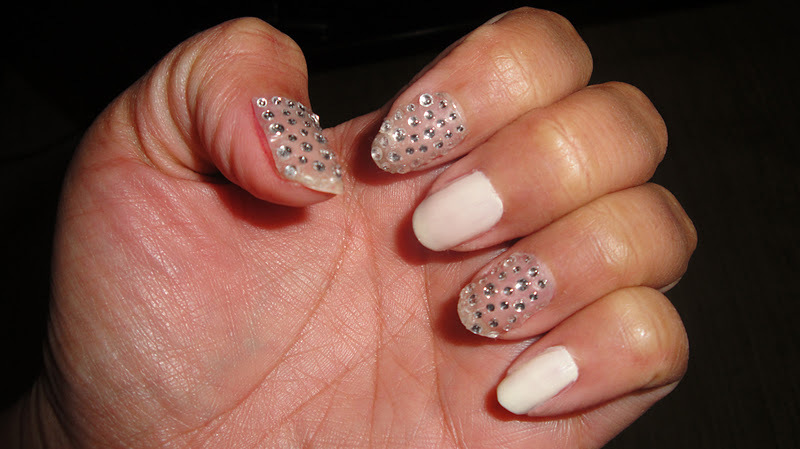 I really like the combo of clear rhinestones and cream together. I would of worn this for NYE if the stickers hadn't started peeling off. Ah well! What did you all rock on your nails for NYE? Let me know in the comments below! I love this look. Gorgeous. Too bad about the peeling. 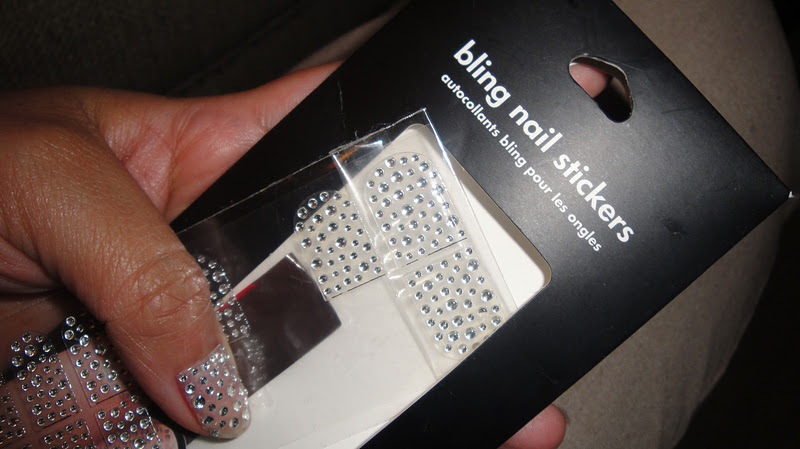 Is it hard to take them off with the nail glue?